Being a tropical country, the Philippines has the advantage of selling cold drinks all-year-round. Luckily, there seem to be a boom when it comes to stores that specializes in milk teas. 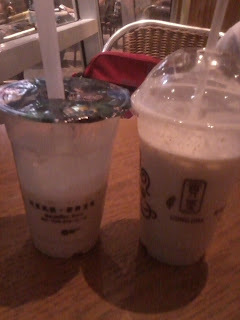 The drink on the left is called Ice Cream Milk Tea. That's vanilla ice cream and milk tea. 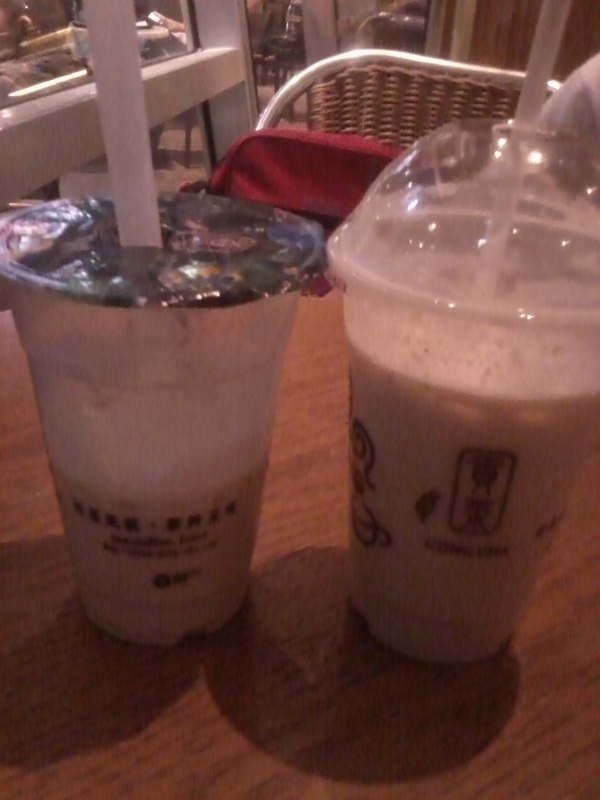 While the one on the right is the popular wintermelon milk tea (highly recommended). I was meaning to take photos after ordering the drinks but its just so yummy that my daughter and I can't help but drink it at once. Will try to post a much more nice photo soon (if I remember! ).